Last weekend most of the country basked in warm May sunshine and beautiful blue skies. The sunshine is utterly uplifting; I'm quite convinced the mood of nation as a whole improves by around 65% when the thermometer inches above 20°C. People are nicer and kinder to one another and much more relaxed (surely nothing to do with the correlating increase in beer sales). Here in London, the city glows in the evening dusk, the mouthwatering smell of evening BBQ smoke permeating the still-hot streets and Brockwell Park resembles a beach in the Balerics (hmmm... perhaps the aforementioned reference to increased beer sales has clouded my judgement). 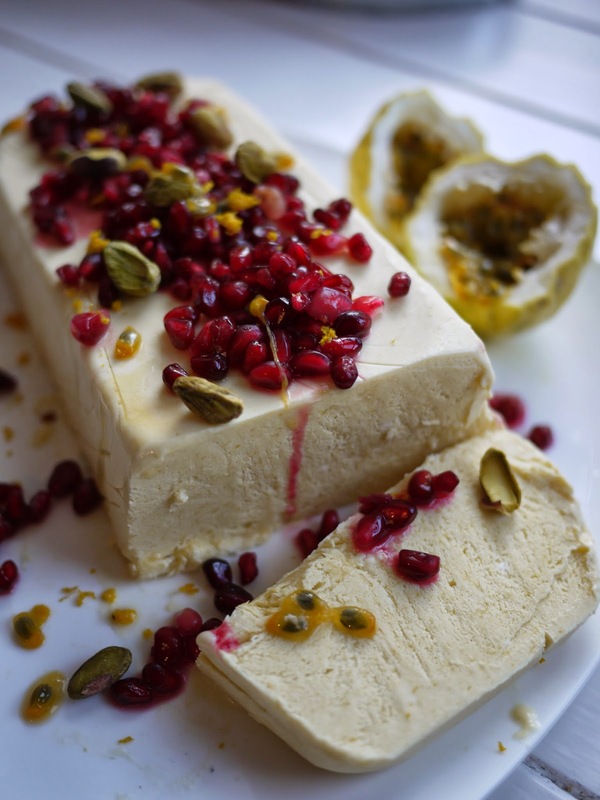 A soft, velvety block of sweet frozen cream, perfectly cooling in the heat, decorated with zingy orange, fresh pomegranate seeds and the exotic flavour of passion fruit. 2. Using an electric whisk beat together the egg, yolk and sugar in a heat proof bowl until creamy and smooth. 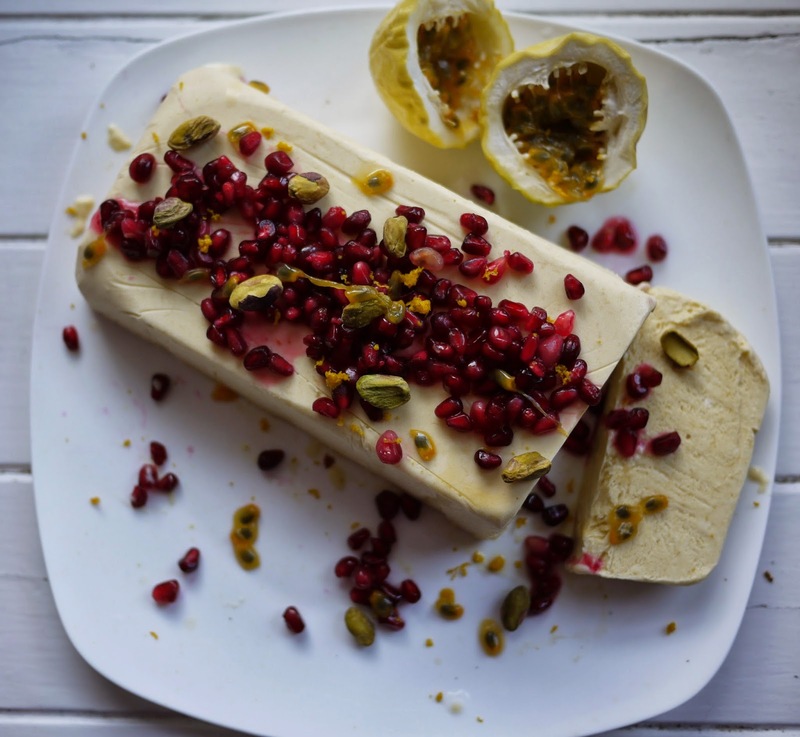 What's your favourite summer dessert? Talking of the summer, we're off on our hols- see you next month! Wow this looks fabulous! 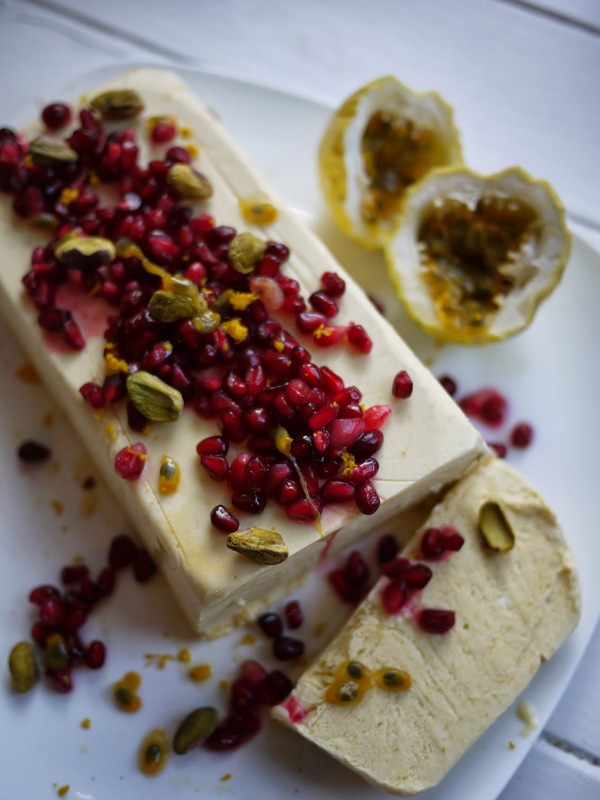 I've never made a semifreddo but now's the time with this gorgeous recipe!! This looks great. It would be a wonderful dessert for a dinner party. You're absolutely right- I think I need to hurriedly plan a dinner party to make this again! Lovely combination of flavours, colours. 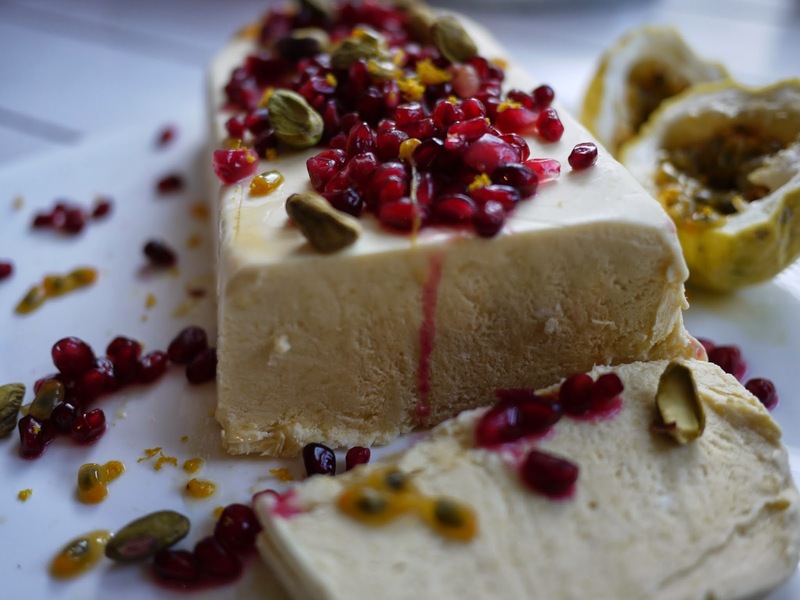 Never made a semifreddo. This might be just the right time! Thank you- if you do have a chance to make one, enjoy! Ooh, mango ice-cream, now you really are talking Kate. And your pictures look absolutely stunning. Want some. Ahhhh, thank you very much Choclette! Looks like a delicious and summery pudding! Absolutely, with all this sunny weather I need to develop a second flavour! Beautiful - pomegranate makes everything look so opulent! Looks delicious - a great idea for a summer pudding.